Five of the top players on the US women's national soccer team filed a federal complaint with the Equal Opportunity Employment Commission on Wednesday, citing significant wage disparity with the men's national team. In response, they were told that their claims were "irrational." What do you think? 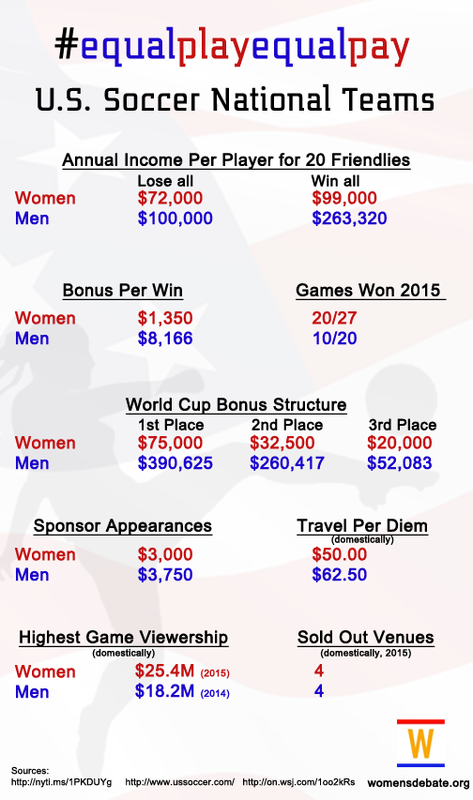 Is the women's team treated unfairly by the U.S. Soccer Federation?